Diabetes is a chronic disease in which a person’s body cannot produce insulin or cannot use insulin to move sugar from the bloodstream to the cells. The dietary intake of sugar is generally limited for diabetics because eating sugars can raise their blood sugar levels to dangerously high levels. Diabetics have several types of sugar to look out for in the foods they eat, and some are worse than others in terms of their effect on blood sugar. Fructose is a type of sugar which, according to the Weston A. Price Foundation, has been recommended for diabetics as opposed to other types of sugar. Fructose is the type of sugar naturally found in fruits and honey, but it is also crystallized and used in the making of many candies and commercialized food products. The Price foundation says fructose does not raise blood sugar levels as quickly as other types of sugar, such as sucrose. Even though fructose has been promoted as one of the better sweeteners for diabetics to use, an article from 2009 says it may not be a good idea for non-diabetics to use too much fructose. According to Reuters Health, consumption of fructose may lead to a greater risk of diabetes in individuals who are not already diabetic. They says the intake of a particular type of sugar made from fructose, called high fructose corn syrup, has a strong correlation with the onset of diabetes. It is speculated that the reason why fructose may lead to diabetes is because excessive intake may cause the body to become resistant to its own insulin. A special blend of fructose and other sugars called high fructose corn syrup has become increasingly controversial. The Price Foundation says that up until the 1970s, the majority of sugar in the American diet came from sugar cane. These days, high fructose corn syrup is used instead of other forms of sugar in many sodas, juices, candies and desserts because it is cheaper to manufacture. The Price Foundation says the consumption of high fructose corn syrup can lead to many health problems, including obesity. The Price Foundation says that while fructose alone spikes blood sugar fairly slowly, high fructose corn syrup raises blood sugar levels rapidly. One of the main reasons that fructose alone does not raise blood sugar levels quickly, and therefore, is often encouraged for diabetics is that it is often eaten in its natural form in fruits. 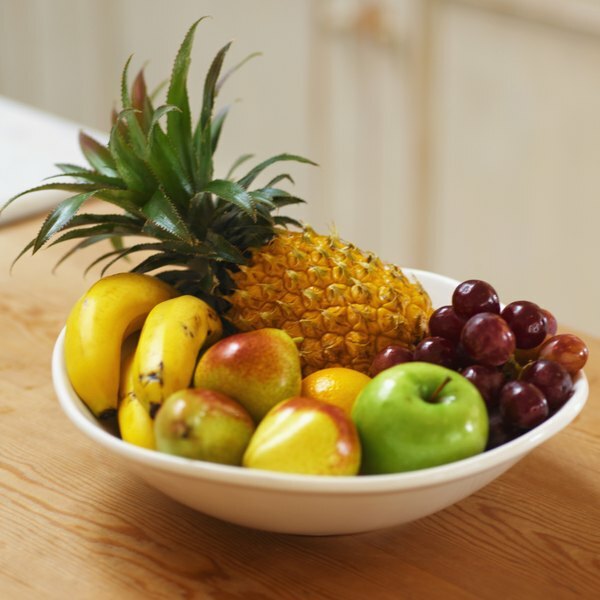 Fruits also have fiber, which slows sugar absorption. Fructose intolerance is when a person is unable to digest fructose, so they have side effects after consuming it. According to the Mayo Clinic, some of the side effects of fructose intolerance include gas, bloating and diarrhea. These side effects can occur when a moderate amount of fructose is eaten by a fructose-intolerant person, or when a person who can handle fructose eats too much of it. Because diabetic candies often use fructose instead of table sugar for sweetening, the over-consumption of these candies could lead to fructose intolerance. Therefore, diabetics should limit their intake of fructose to avoid gastrointestinal distress. Mayo Clinic: Fructose intolerance--Which foods should I avoid? What Is the Glycemic Index of Fructose Corn Syrup?